Ron has been a gardener all his life and a beekeeper since 1973. He has regularly lectured since 1996 at organic conferences, garden clubs, beekeeping workshops and schools. He and his wife own Bumps & Company, an eco-friendly, sustainable, specialty nursery in West Nyack, New York. 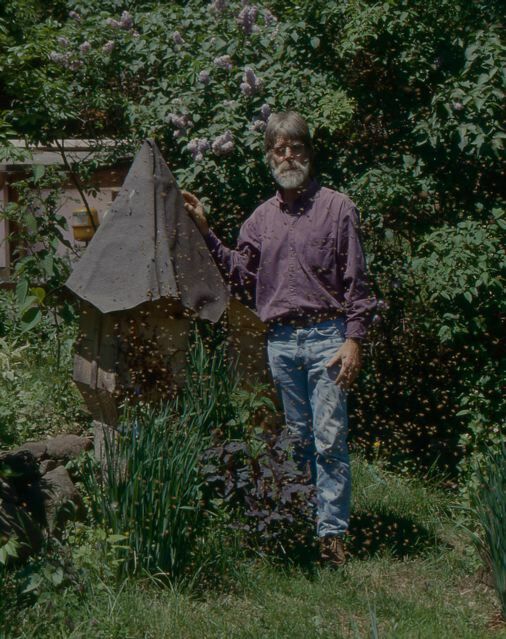 Ron has established “The Bee Sanctuary” in both West Nyack and Clavarack, NY, These locations are dedicated to the development of sustainable beekeeping practices, the use of non-toxic controls, and the search for alternative hive designs for environmental stress reduction. Ron has developed and is presently researching a spherical hive patterned after ancient designs, especially the dodecahedron of Pythagoras, to which he has added modern features suggested by the work of the sculptor, Constantine Brancusi and others.